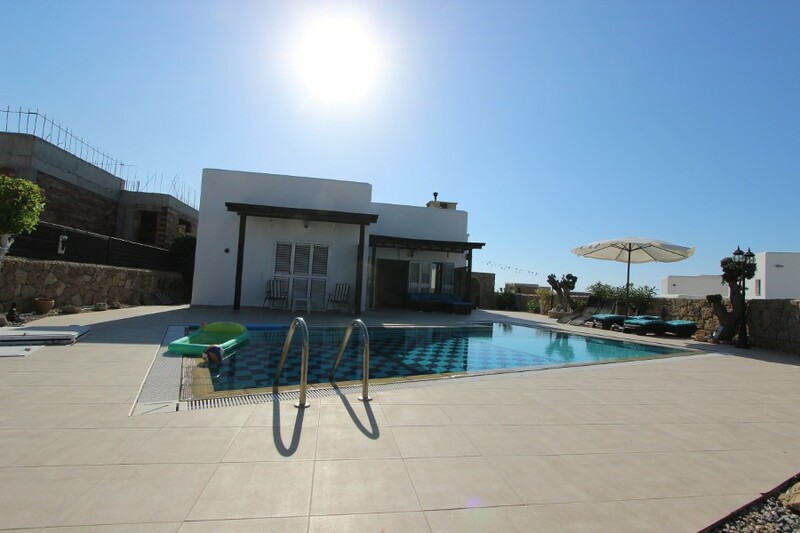 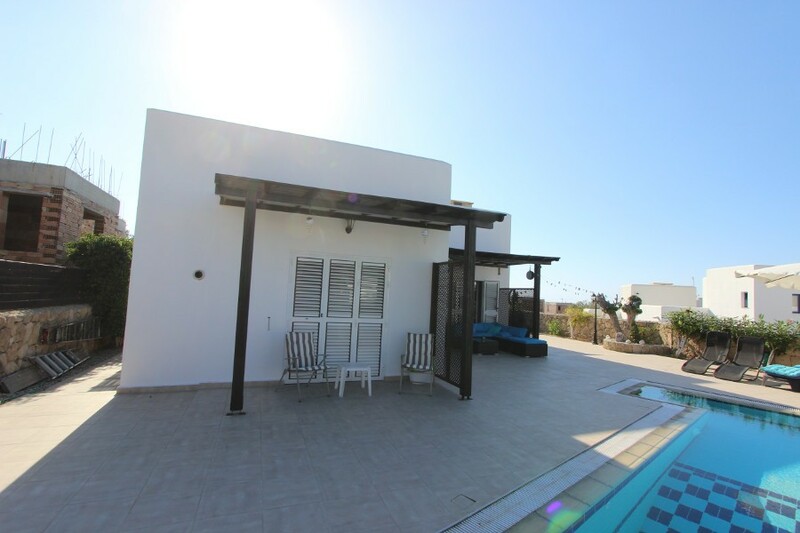 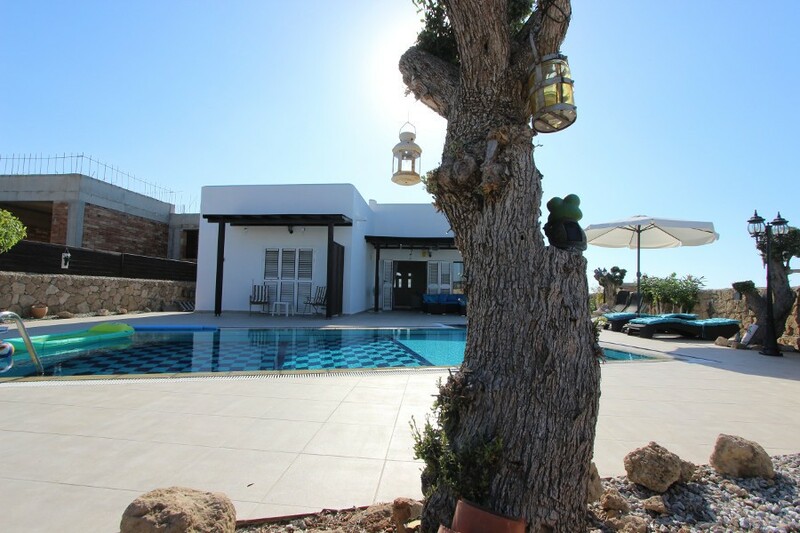 No expense has been spared in the upgrading of this fabulous bungalow with private pool, set in its own generous sized 750 m2 private plot with fabulous sea-view and surrounded by peaceful olive groves and enjoying the stunning Besparmak mountain backdrop. 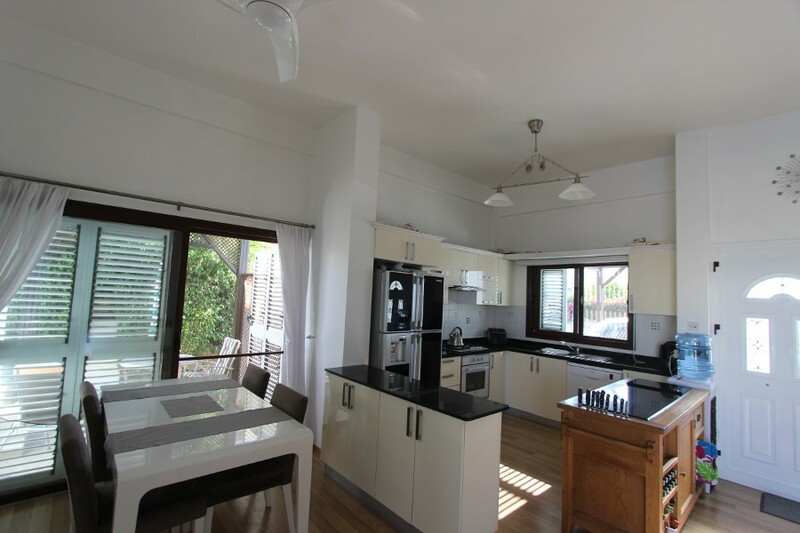 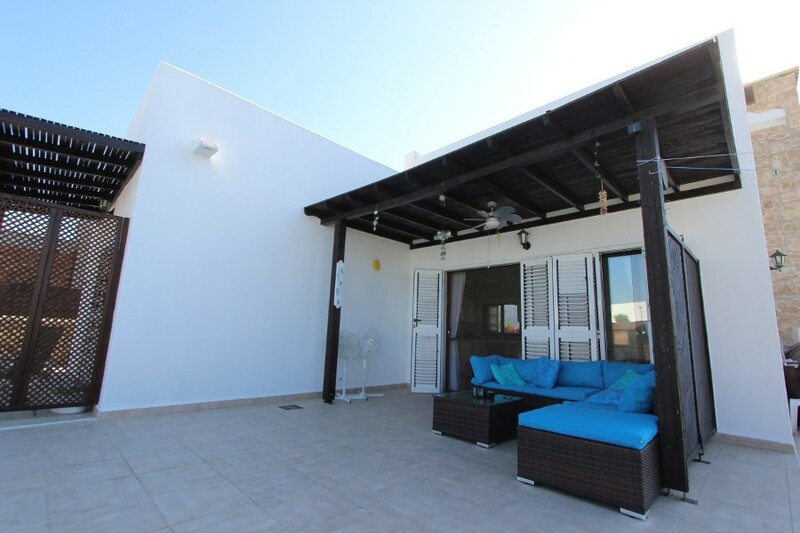 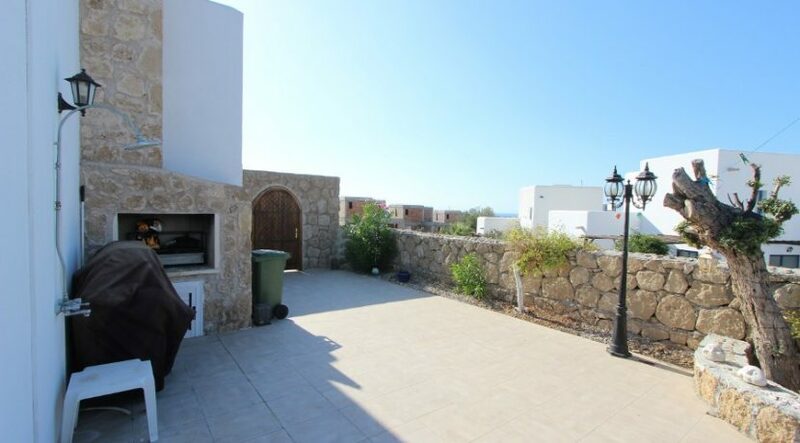 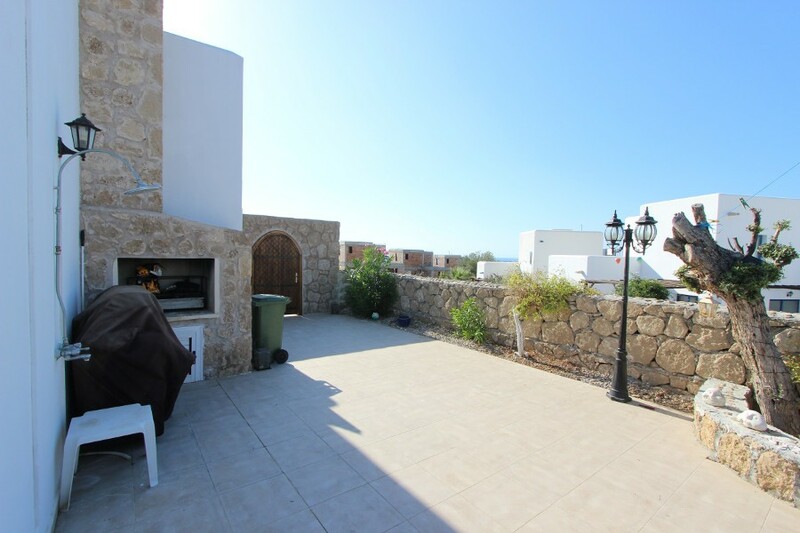 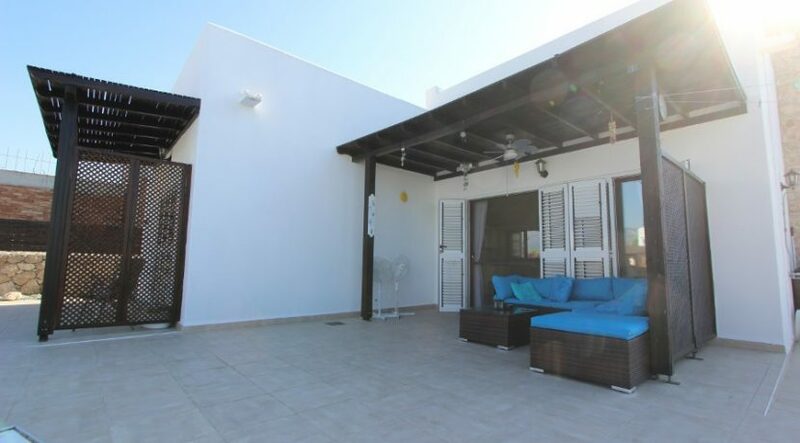 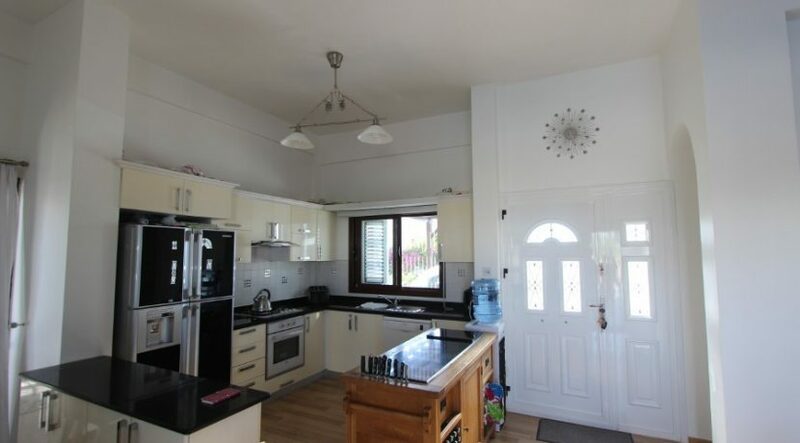 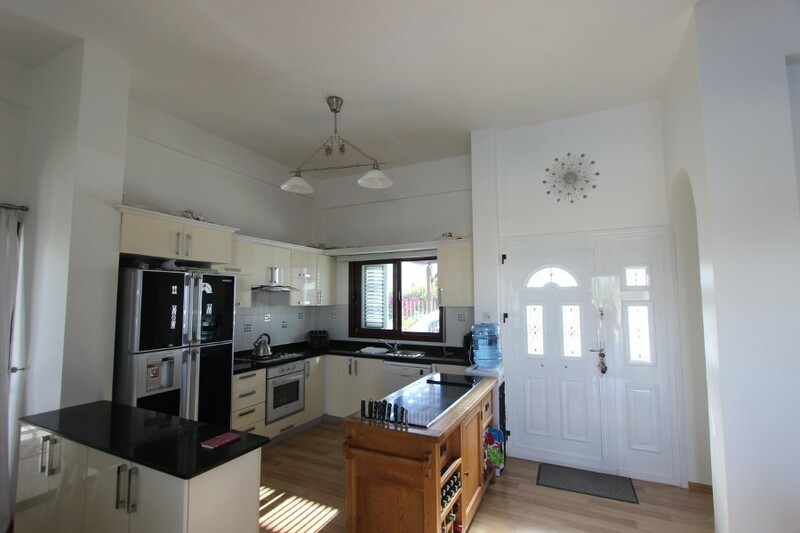 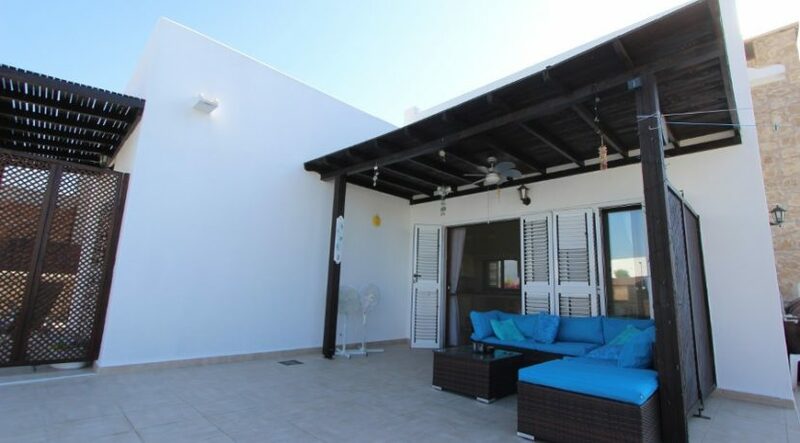 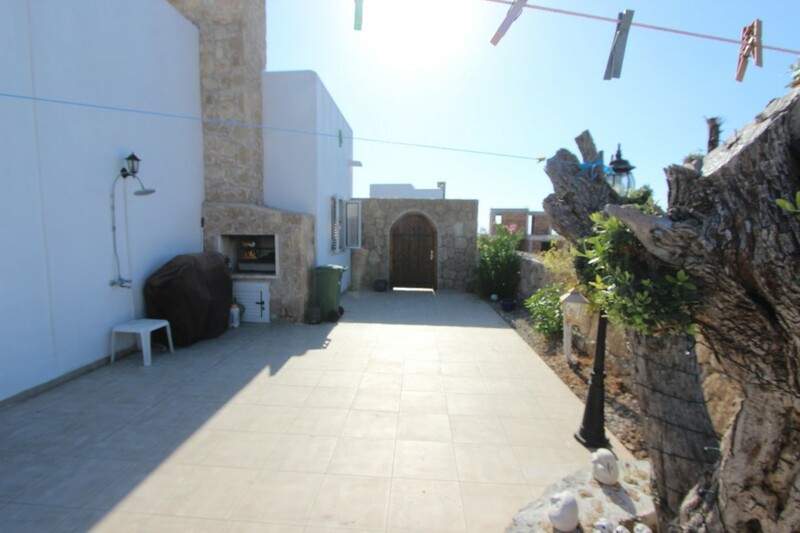 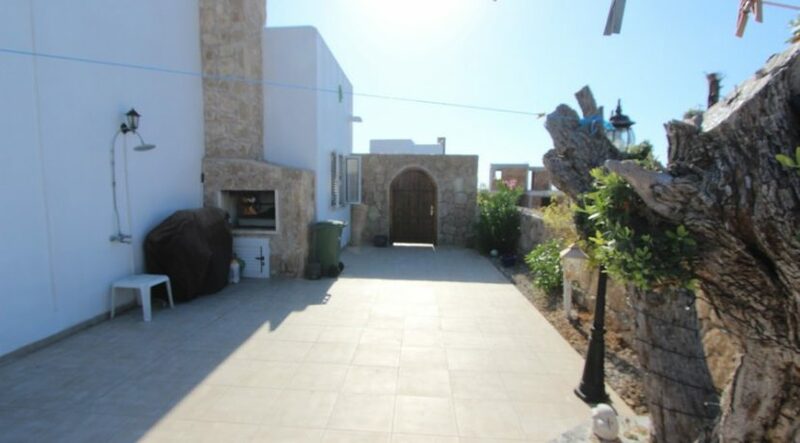 This lovely home would equally suit a couple or family seeking a permanent residence, or a quality holiday accommodation which also offers huge investment and long term or holiday let rental potential. 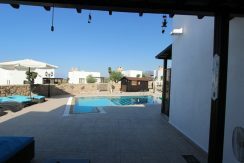 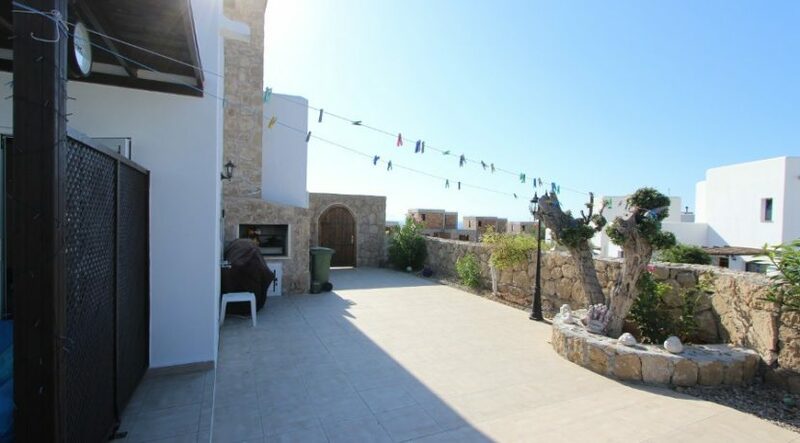 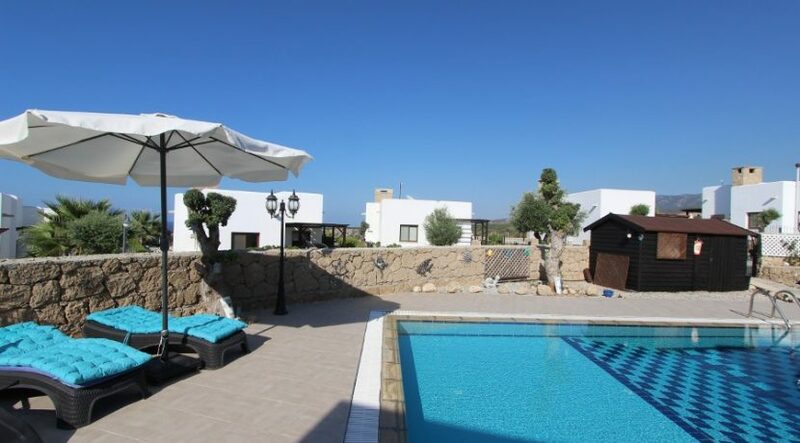 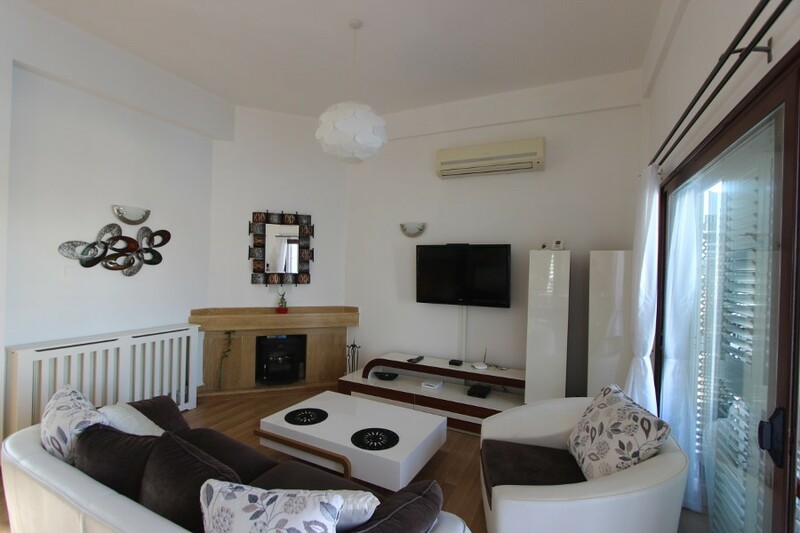 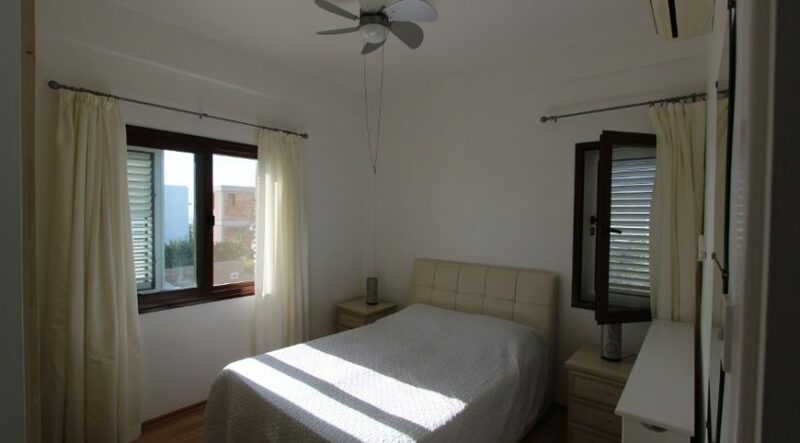 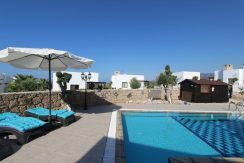 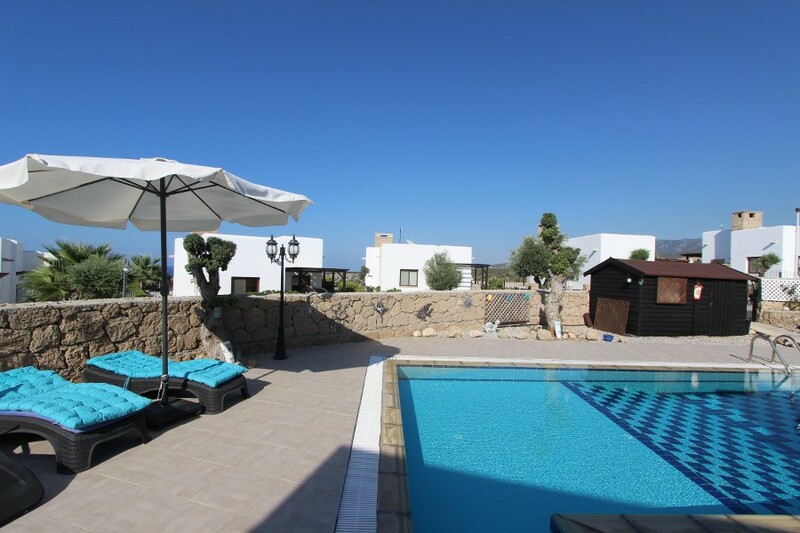 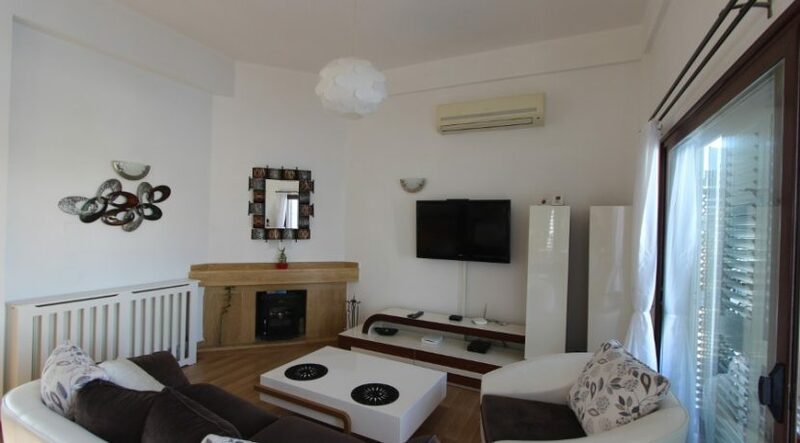 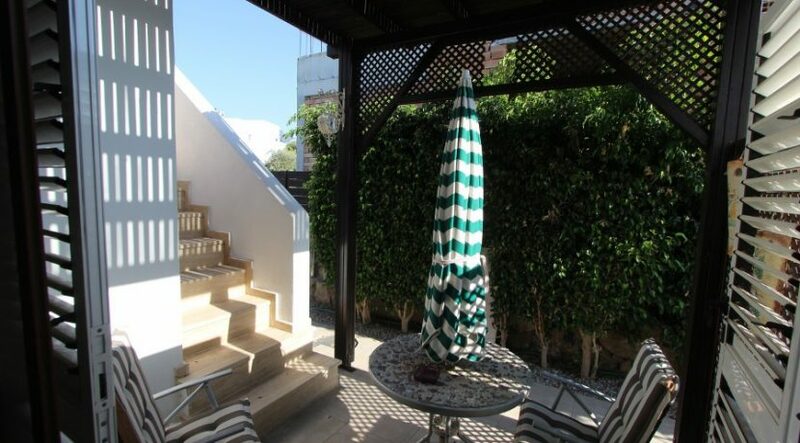 This fabulous North Cyprus bungalow offers the best of all the words: close to a beach & nature, yet also a short drive from city life in Kyrenia. 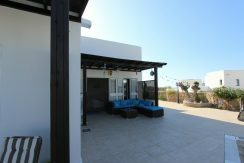 All the bedrooms easily accessed on the ground level, yet also boasting a fabulous roof terrace with sea view if required. 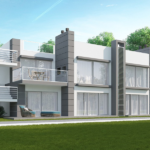 Priced low for quick sale – yet offering a high-class, luxury upgraded interior. 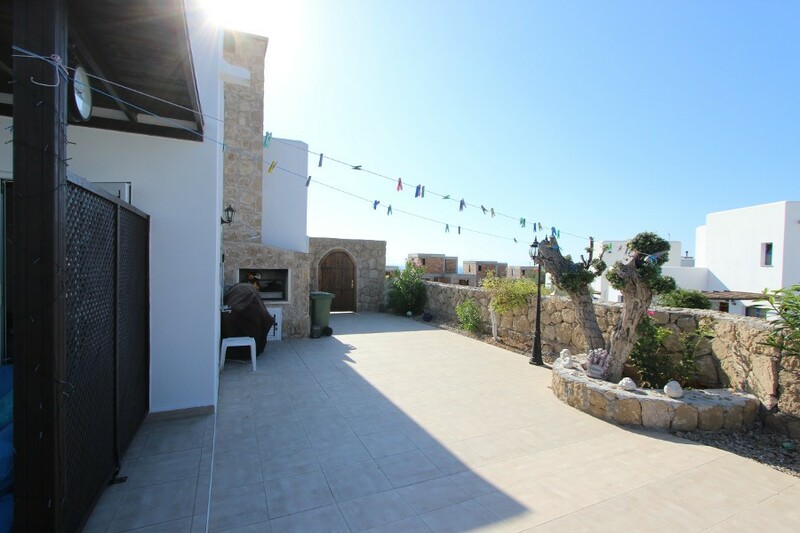 Ultra-modern interior “feel” yet also offering traditional touches such as natural stone garden walls, olive trees and Mediterranean-style exterior. As you walk into the open plan living area – you are immediately struck by the gorgeous high quality laminate wood flooring, upgraded kitchen (with black granite worktops, fitted silver appliances and central island), attractive corner fireplace with mantelpiece and huge French windows with view of the private L-shaped pool and gardens. 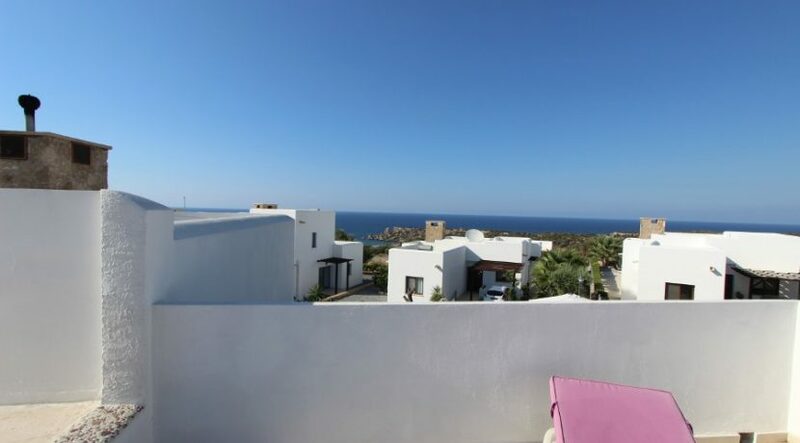 Outside, enjoy the private walled gardens offering covered terraces with sea and mountain views, pool-side relaxation areas with olive trees and easy-to-maintain landscaping. 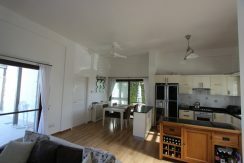 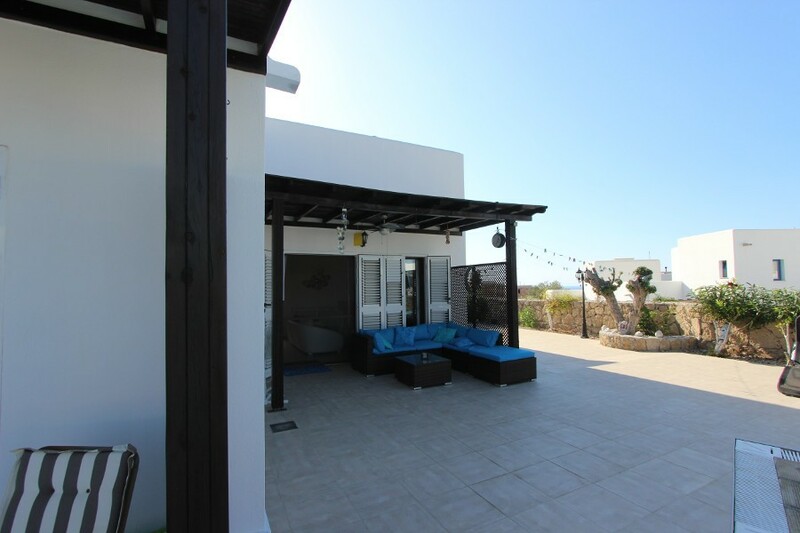 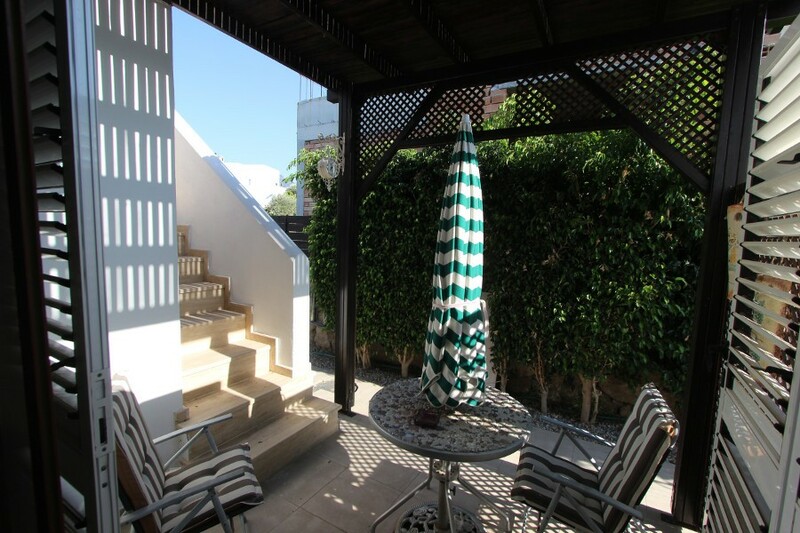 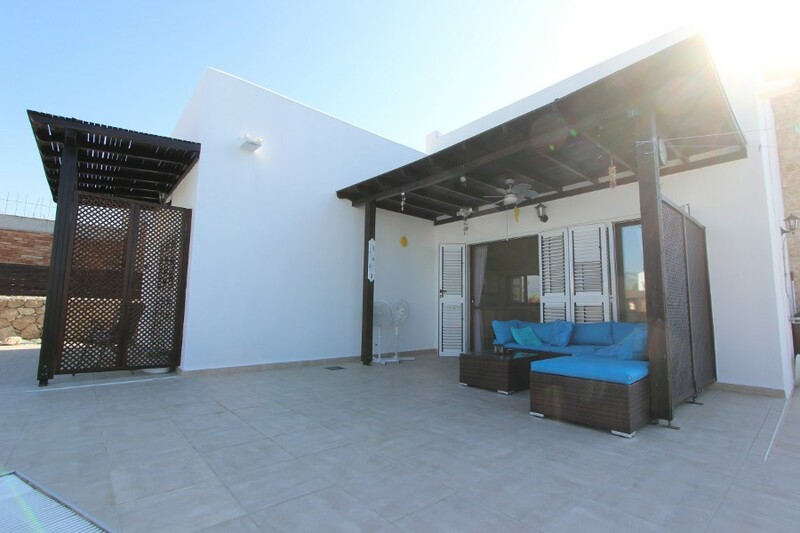 Upstairs you can relax on the huge panoramic roof terrace with fabulous sea and mountain views. 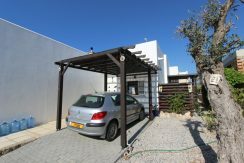 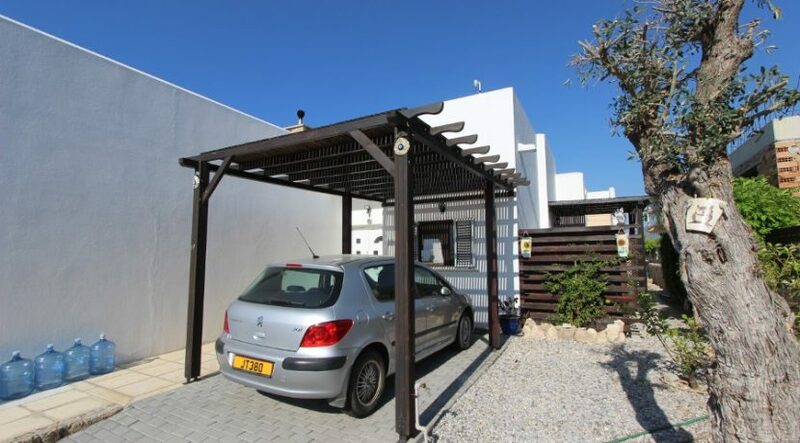 A covered car port and driveway offer plenty of car parking space – and the seller is also offering a car by separate negotiation. 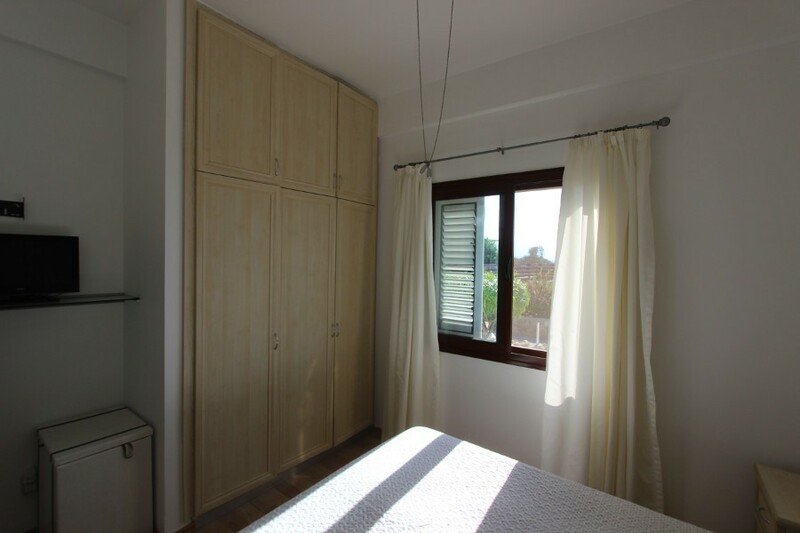 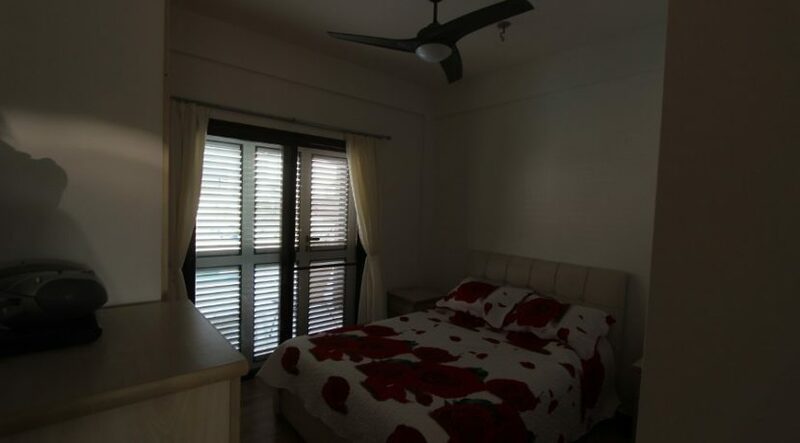 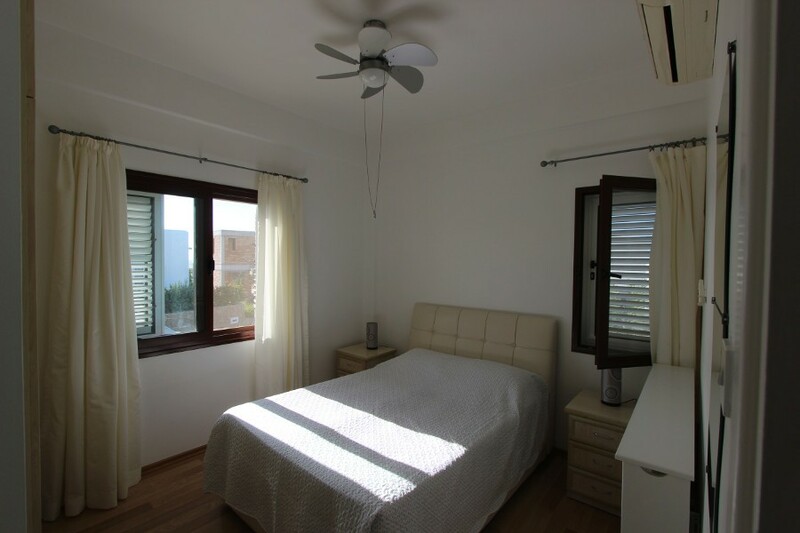 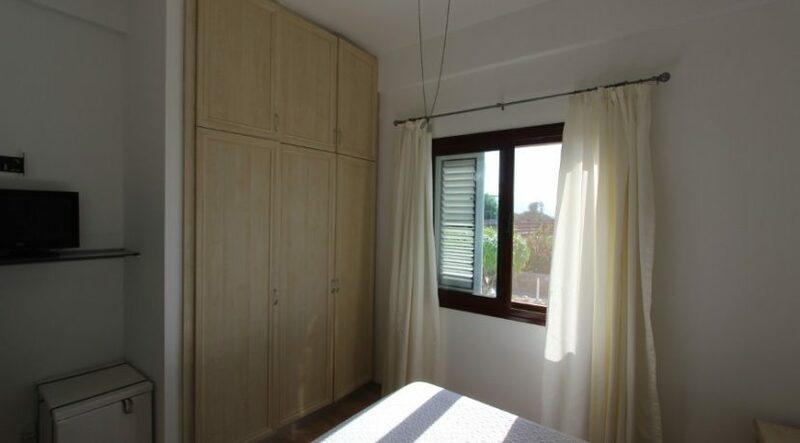 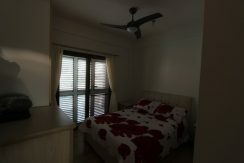 Cool, quality bedrooms offer ceiling fans, fitted wardrobes and all windows enjoy shutters. 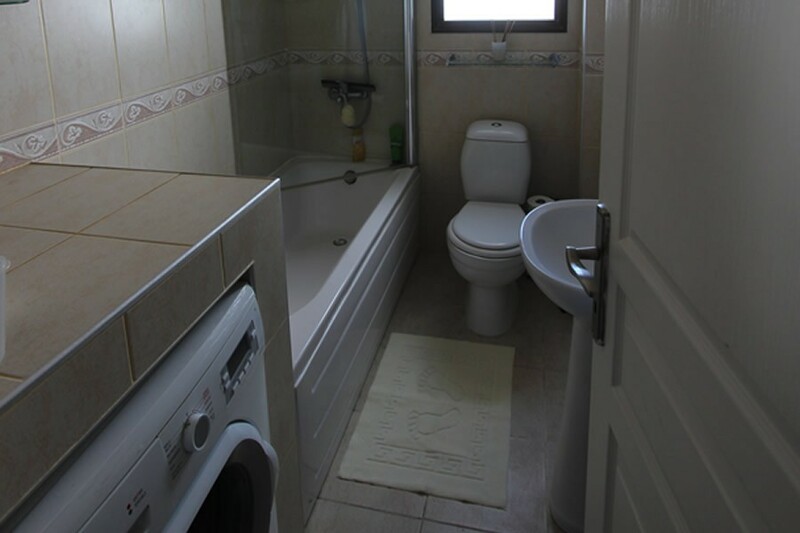 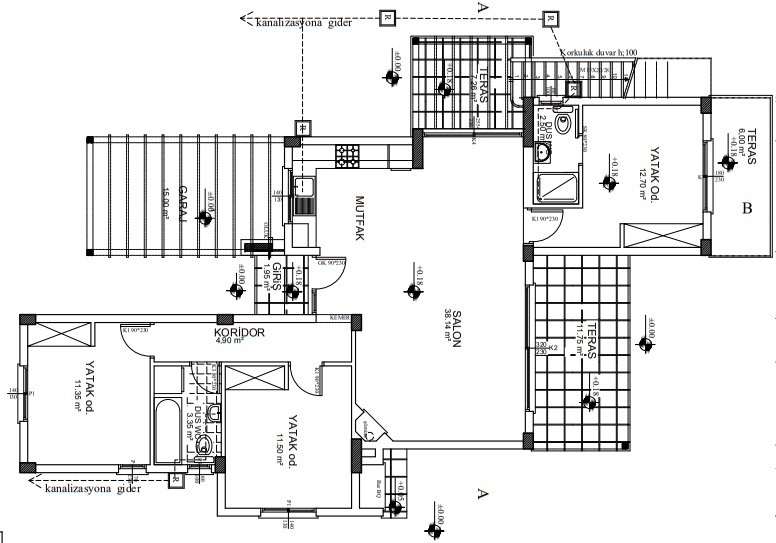 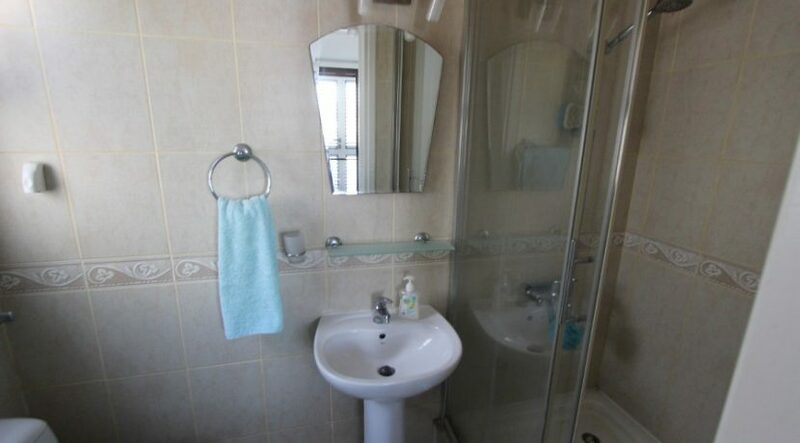 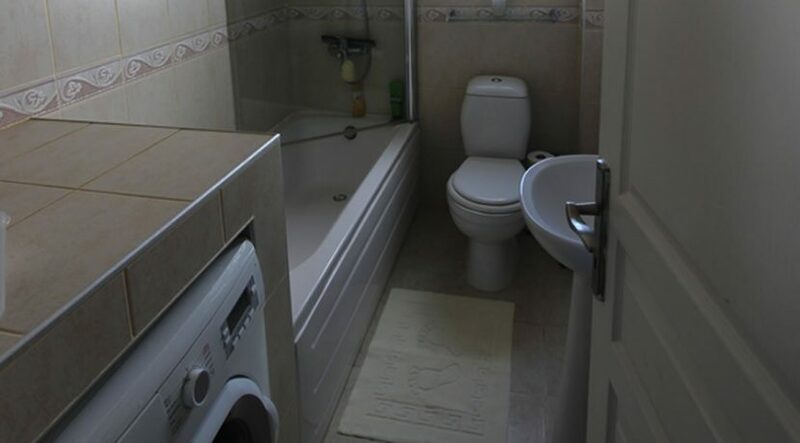 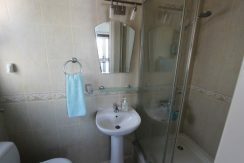 The master bedroom has an en-suite bathroom – with one further family bathroom shared between bedrooms two and three. Golfers can enjoy the nearby 18 hole Korineum Golf Course with its spa, restaurant, coffee lounge and driving range – all facilities are available to non-members. 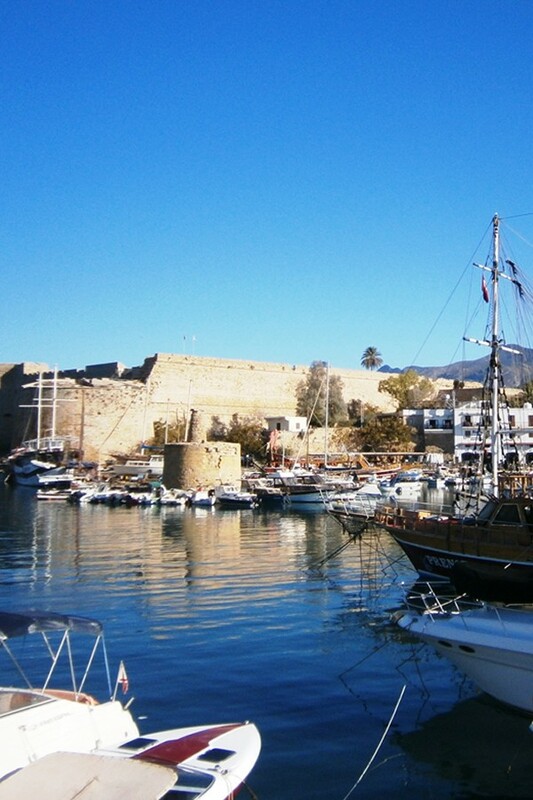 Going west, Kyrenia with its huge array of shops, sites of historic interest and restaurants is only a 15 minute drive. 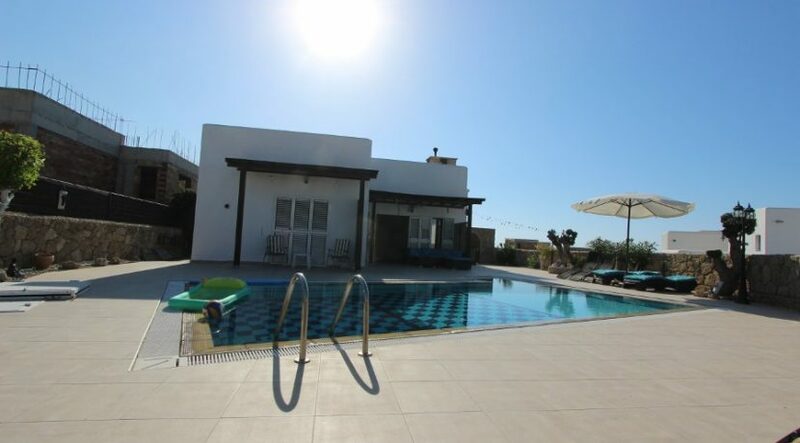 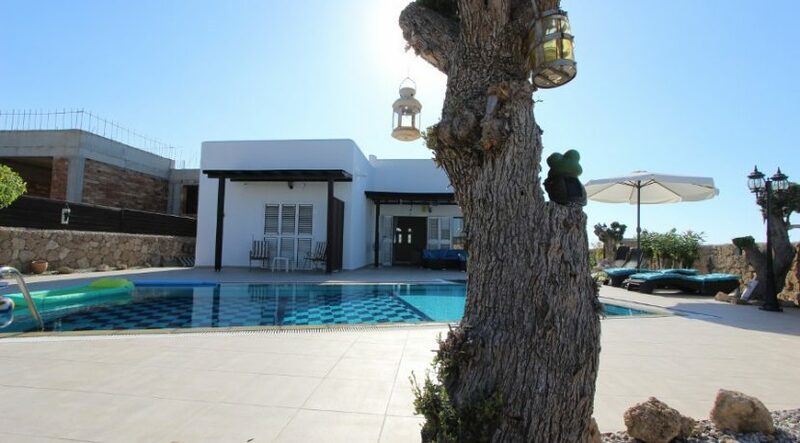 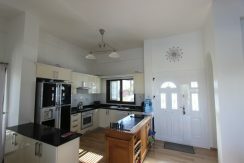 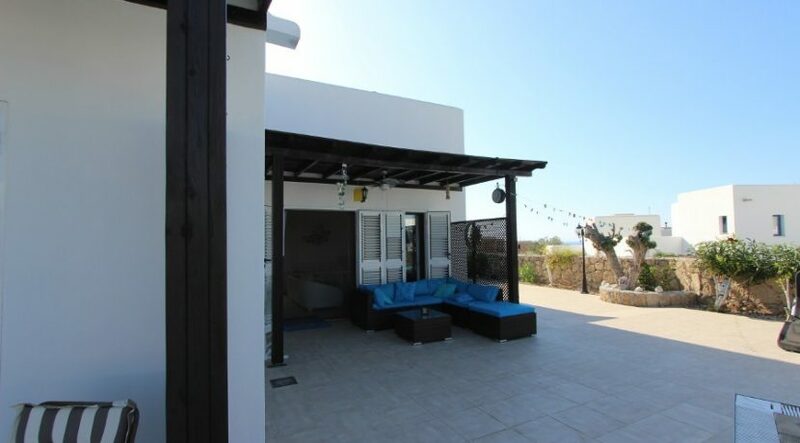 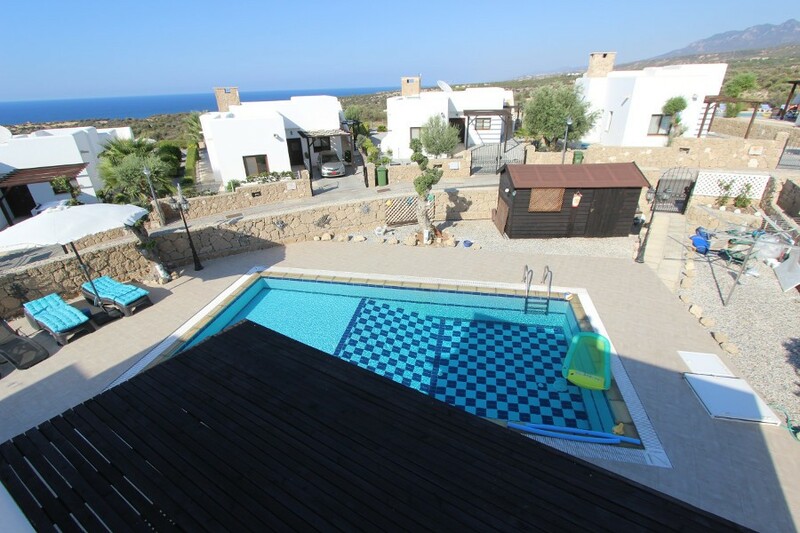 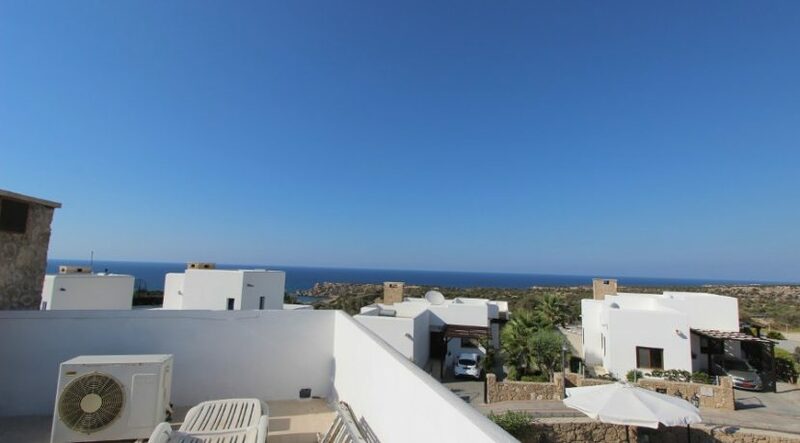 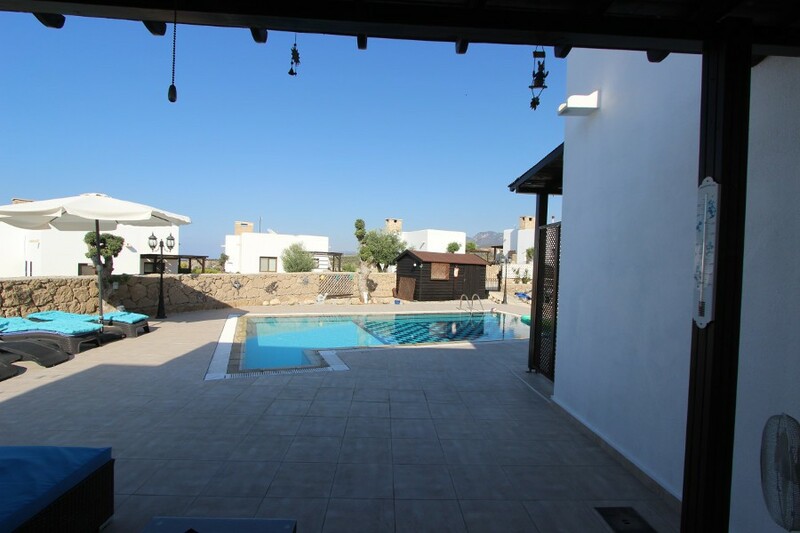 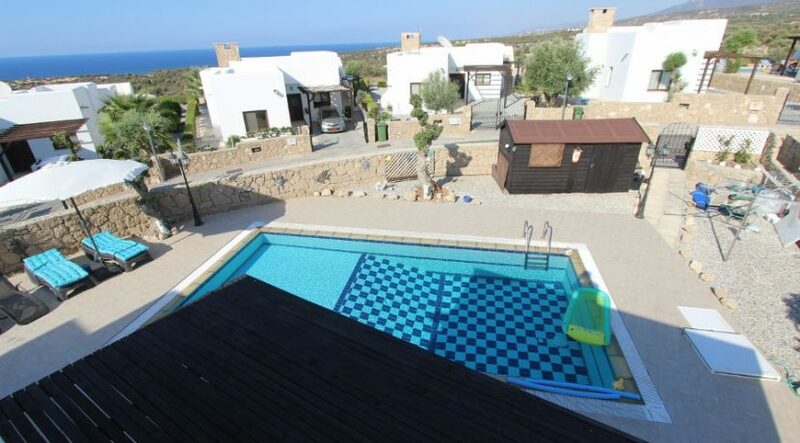 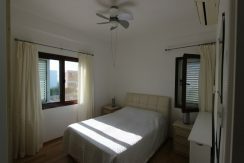 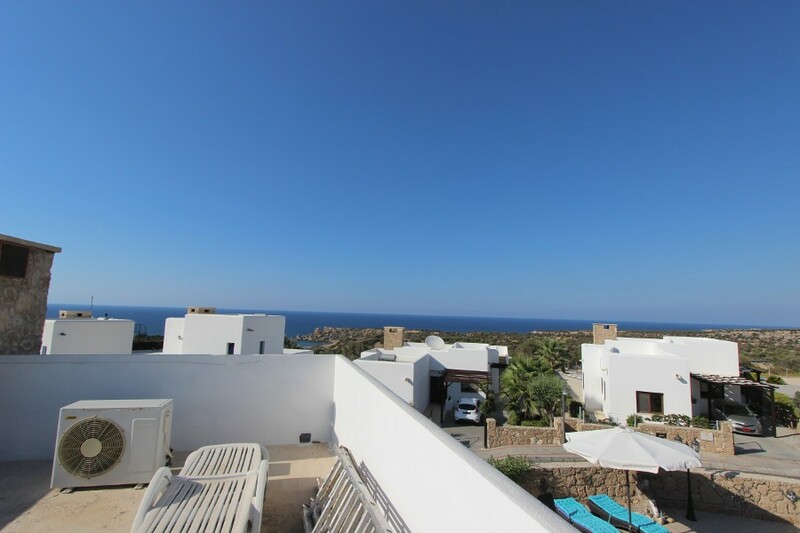 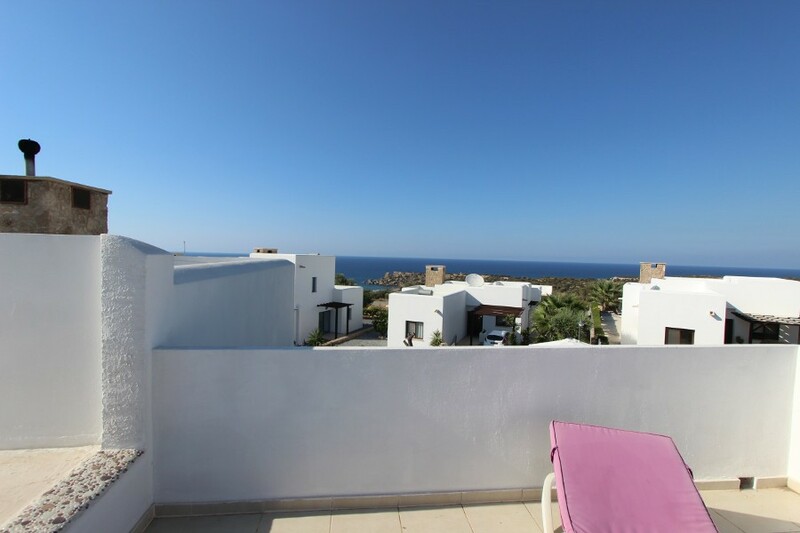 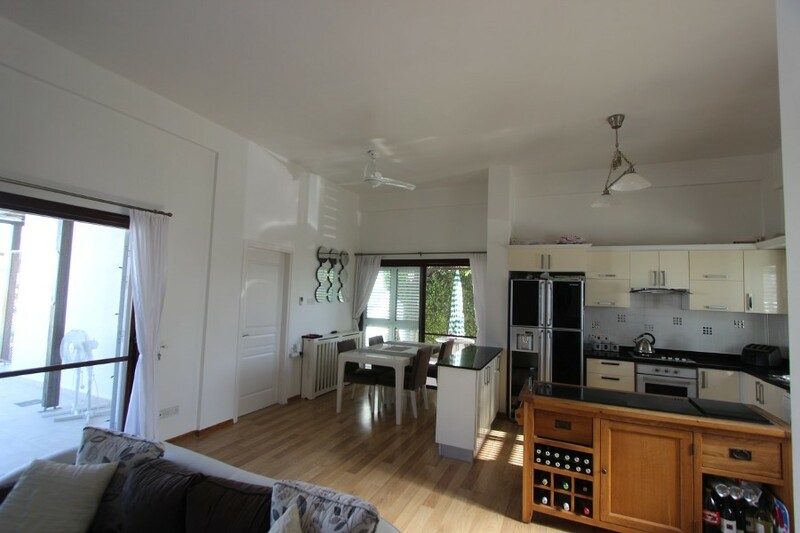 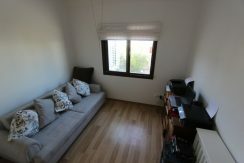 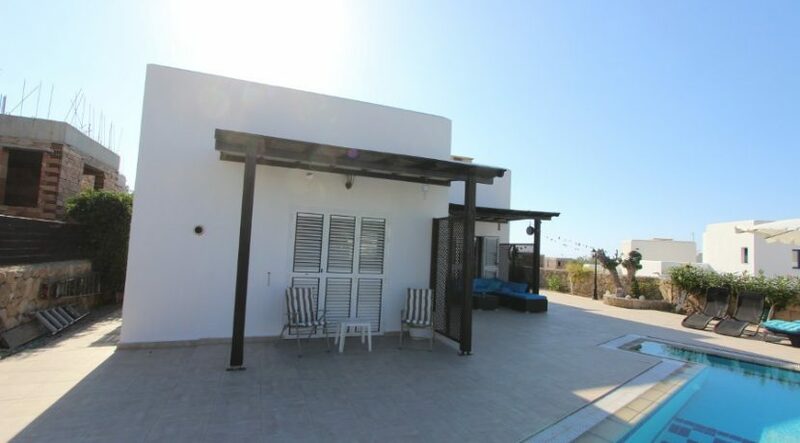 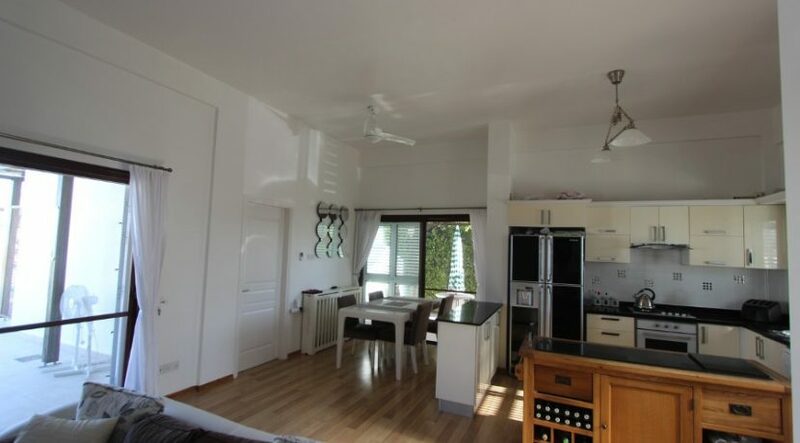 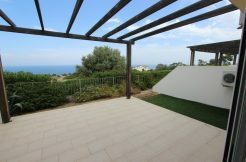 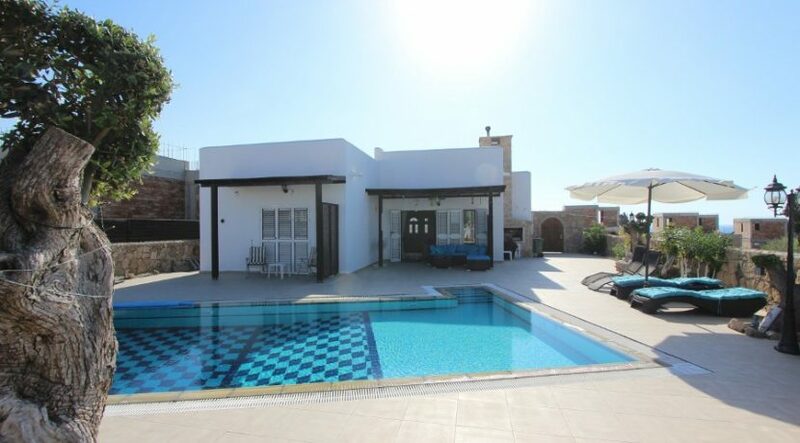 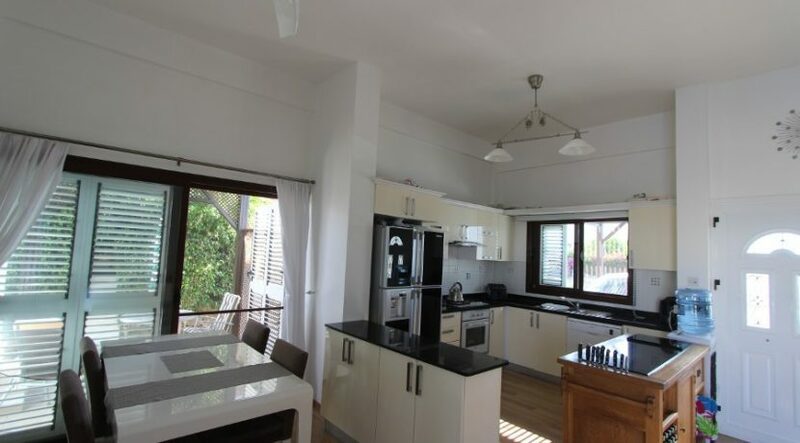 Resale properties of this quality at this price are not common – and North Cyprus bungalows are in particular demand. 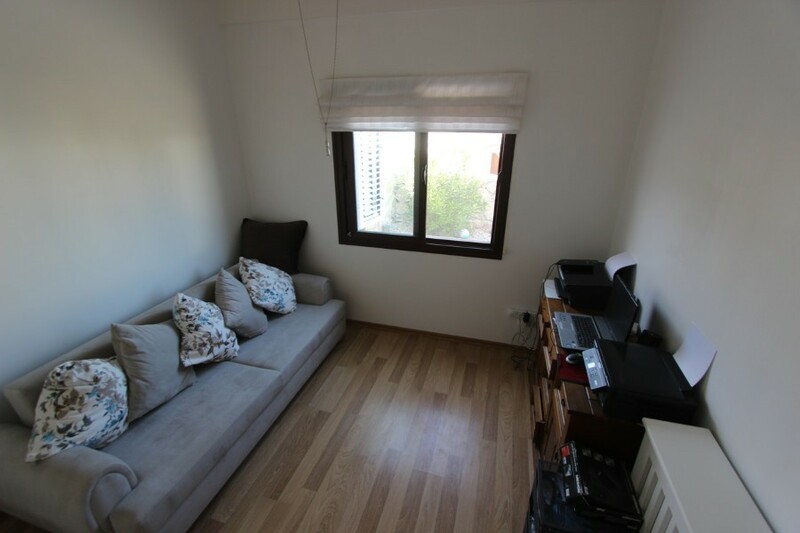 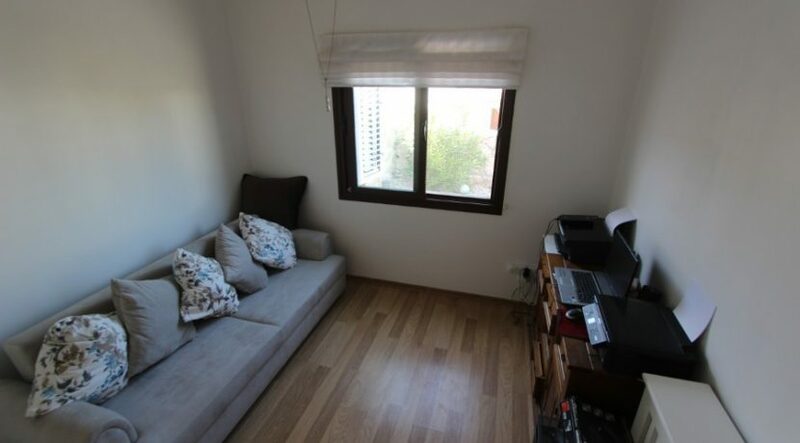 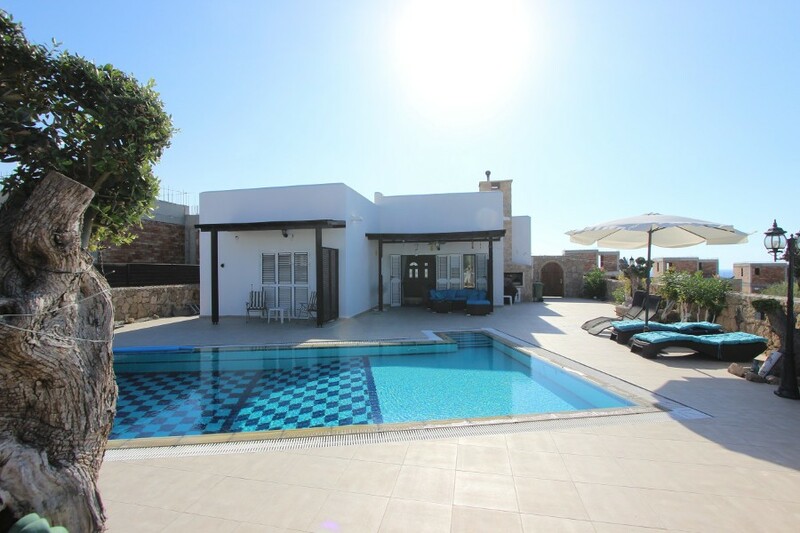 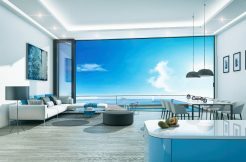 Call our North Cyprus International advisors now in either UK or North Cyprus for more information, or to arrange an inspection trip or viewing. 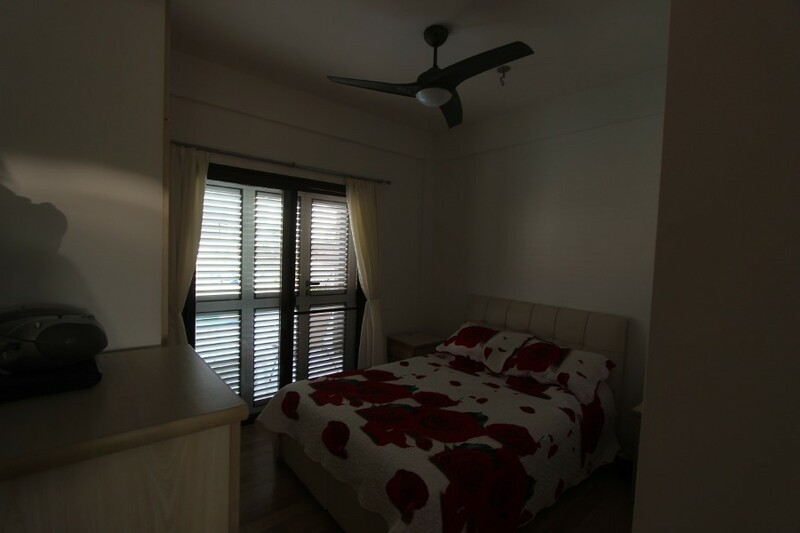 +44 207 112 8086 or +90 548 861 0600.